PARIS—In Paris in the middle of winter, what could be more comforting than being in a theater where colors and positive energies illuminate the stage and the souls of the audience? 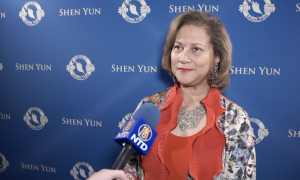 This happened Wednesday evening, Jan. 16, at the Palais de Congrès with the return of Shen Yun Performing Arts. 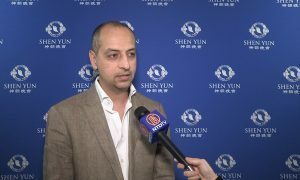 A large audience had gathered to discover the all-new program of New York-based Shen Yun for its first performance of the season in France. Among the spectators was Leo Carruthers, who said he was just amazed by what he saw on stage. Born in Ireland, the professor emeritus of the Paris-Sorbonne University, specializes in the literature and civilization of the Middle Ages. 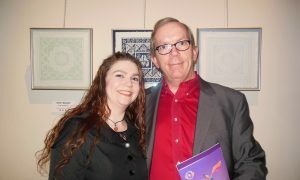 He is also the director of the Center For Medieval English Studies. The scholar was made a Knight of the Order of Academic Palms in 2003 and an Officer in 2014. His life’s work has been bringing old texts and lore of history to life through vivid analysis. 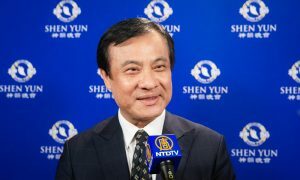 Indeed, Shen Yun’s mission is to revive the 5,000 years of traditional Chinese culture, showing many of the 50-plus ethnic and groups that populate China, as well as the dynasties that followed one after another over the millennia, each bringing its own heritage and traditions. This is how the public discovers the breathtaking landscapes accompanying the shimmering and colorful costumes of the Yi ladies, one of China’s oldest ethnic groups, or the harsh flexibility of the Monogolian riders in the arid steppes of northern China. 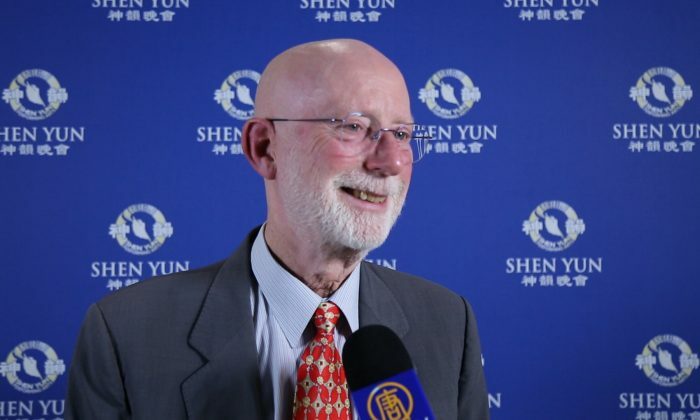 The name Shen Yun means “the beauty of divine beings dancing,” and Mr. Carruthers fully understood the intimate links between the cultural and spiritual aspects of traditional China. “I have seen angels. 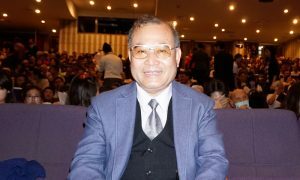 I felt the presence of angels transmitting the culture,” he said. “That doesn’t surprise me, because in many cultures, we find this idea that culture—languages, arts—come from Heaven. And that’s because it speaks to something that’s inside the human being. 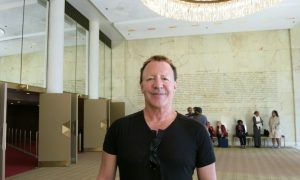 It’s his spiritual side,” Mr. Carruthers said. Indeed, the program introduces this idea as well. 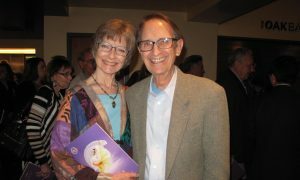 It states that Shen Yun artists continue in this noble tradition, believing that the cultivating of their inner selves in order to bring their audiences art that truly brings joy and inspires. It adds that many of these artists practice the spiritual discipline Falun Dafa, which teaches the three principles of truthfulness, compassion, and tolerance. Because Falun Dafa embodies the essence of traditional Chinese culture, it is currently being severely persecuted by the communist regime in China. He added that this also speaks to us in the West, where we feel strongly about the ideas of freedom of conscience and freedom of belief. Amid the beauty and the eye-opening ideas, one of the things Mr. Carruthers was sure he was leaving with was to recommend the performance. “I’ll tell all my friends that it’s worth coming to see it,” he said.